Smoothies for Breakfast at K-6 Cafeteria! 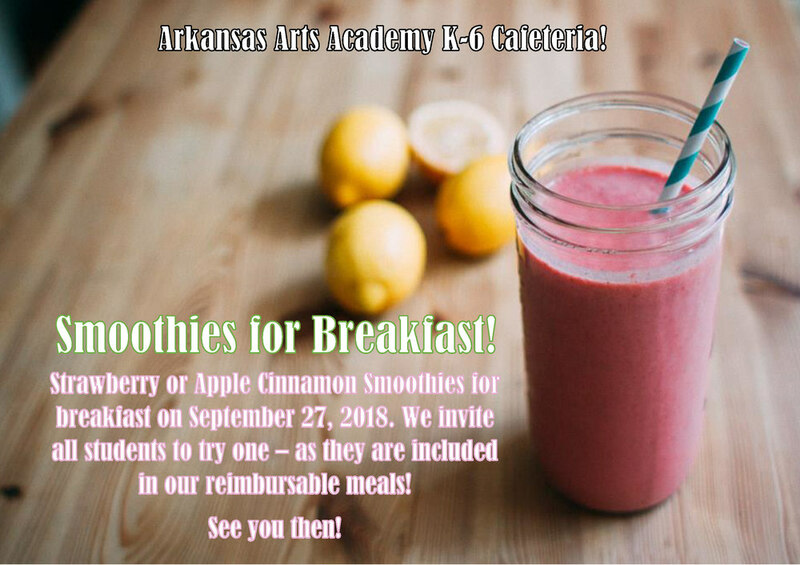 Strawberry or apple cinnamon smoothies for breakfast on September 27, 2018. We invite all students to try one - as they are included in our reimbursable meals.